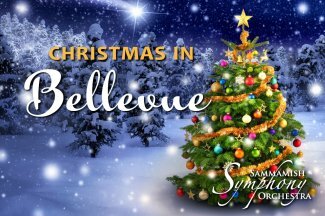 The Sammamish Symphony Orchestra's annual celebration of the holidays has become a tradition in Sammamish, and now in Bellevue, too! Put a little jingle in your holiday celebrations by joining the Sammamish Symphony, along with special guests The Liberty Singers from Issaquah School District's Liberty High School, for a musical celebration of the season featuring a blend of holiday favorites, some light symphonic delights and a few festive surprises. This perennial favorite is always sold out so tickets should be purchased early!